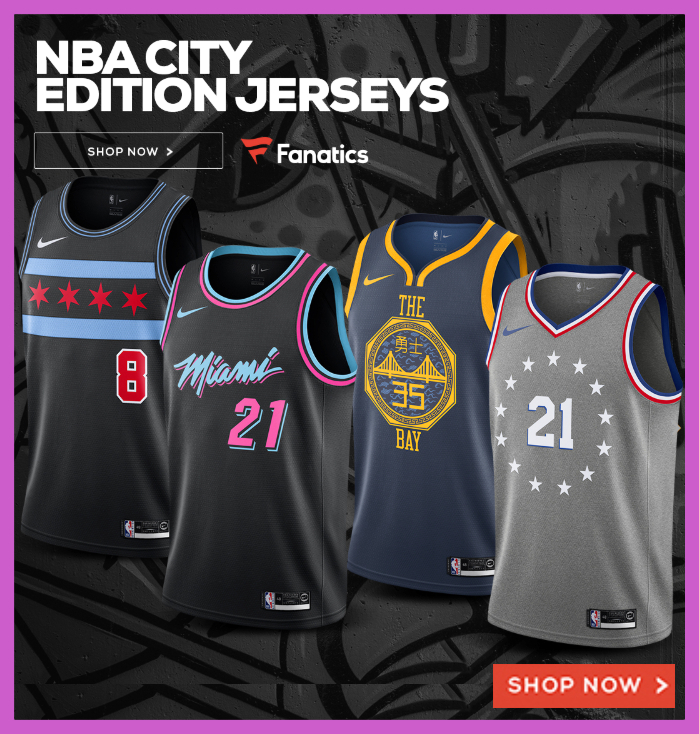 With four teams in this extremely-optimized tournament, you’ll still need a single-elimination bracket to track the winners and losers. Similarly, the 4-team bracket is also popularly known as the NCAA Final Four. The Final Four doesn’t refer to the number of games remaining in the bracket, but the Final Four refers to the four undefeated teams left in the tournament. In any case, a 4-team bracket and the Final Four brackets look exactly the same. How Does An 4-Team Bracket Work? As we mentioned above, the most-popular example of an 4-team bracket is the Final Four in college basketball, also known as the Frozen Four in NCAA Men’s Division 1 hockey tournament. Whether hoops or on the ice, four teams is perfect in that it allows all teams to have an opponent going into the championship round. Four teams is a perfect tournament set-up, much like a bracket with 8, 16, 32, 64 or 128 teams in a single elimination tournament. These specific amount of teams allow half the field to be eliminated in each round up until there’s the tourney champion. That’s one of the biggest differences between a single and a double-elimination bracket. That also means that the 4-team bracket doesn’t need to include any play-in games or byes to work. Another way to refer to this type of four team bracket is the 2-1 tournament format with each number representing the amount of games being played. If you’re starting off with four teams then the seeding is easy. In any tournament, the top seed always the lowest seed. In this four team scenario, that means the #1 seed plays the #4 seed while the two middle seeds (#2 and #3) play one another. The winners then compete for the title trophy. 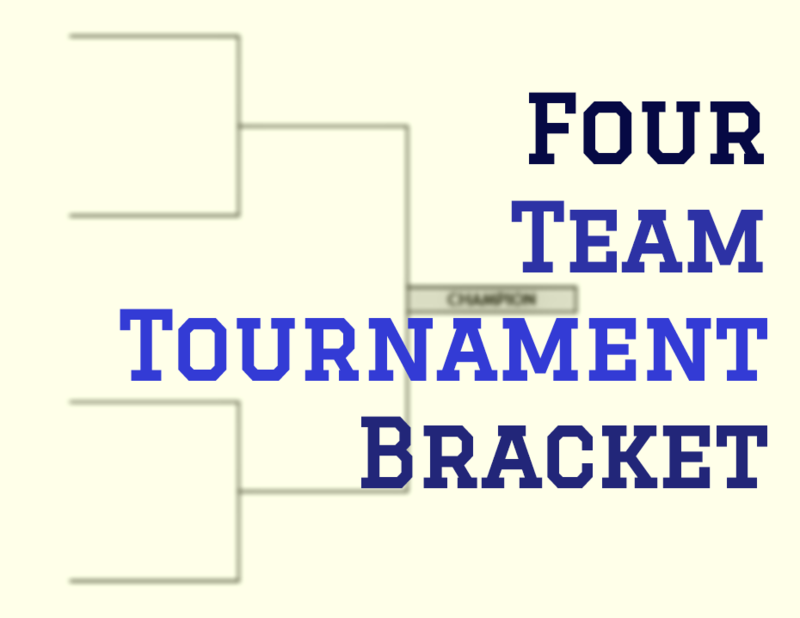 We have the 4-team bracket template in landscape layout for your tournament needs. Our blank 4-team, single-elimination bracket give you the ability to download the printable bracket in the format you prefer, then you can print it out and fill in the title and teams as the tournament progresses. In order to properly download, print and fill out our PDF version, please ensure you’re using the latest version of Adobe Reader to get these to display and print out properly. If you’re like to type in the team names, dates, times, and locations of games then we highly-recommend downloading and editing the Excel version 4-team bracket here. Here’s the double elimination version of the four team bracket. 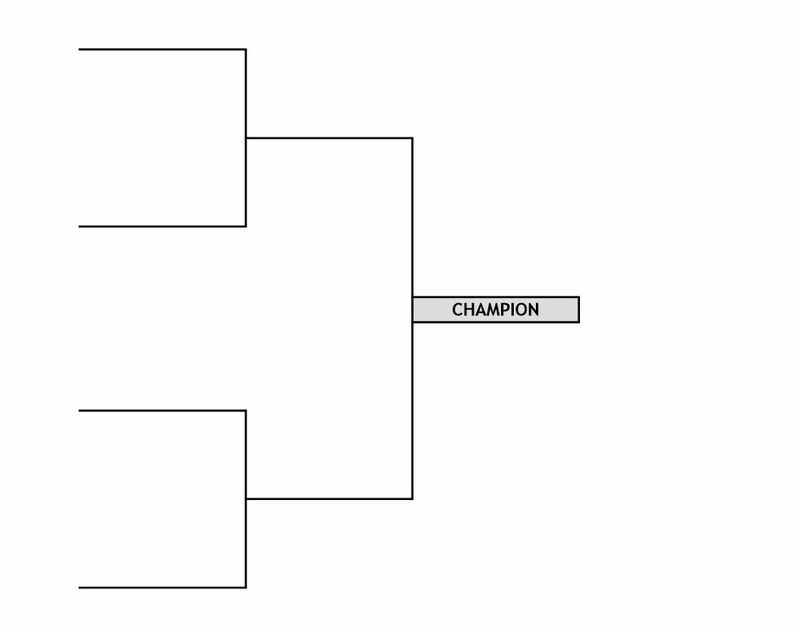 No matter what tournament you’re running, our blank, printable brackets are good for all sports. Here’s a a list of our printable sports brackets we have. And as long as your tournament is a single-elimination tournament, any of the above brackets will work. Here’s a list of team sports that our printable brackets will work with (in alphabetical order): baseball, basketball, football, hockey, lacrosse, rugby, and soccer The brackets even work with individual sports like tennis.